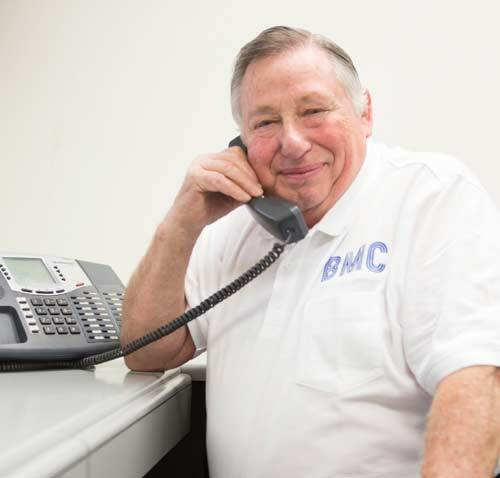 At BMC, Inc. we only carry the most reliable and reputable brands and equipment, so that you can be sure that it performs for you on every task, every day. But we are more than an equipment vendor. We want to be sure that when we provide you with a solution, it is the right one for you and your organization. We pride ourselves on spending the time to understand precisely the issues, wants, and challenges you are facing. Only then can we design a solution perfect for your situation. By answering a few simple questions, you are on your way to understanding what type and combination of equipment are right for your particular needs and budget. Are you looking for equipment for a local office, workgroup, department or the entire company? Do you need to Copy? Print? Scan? Do you need color? If so, does everyone need access to color? What areas need individual pieces of equipment and which can be shared? 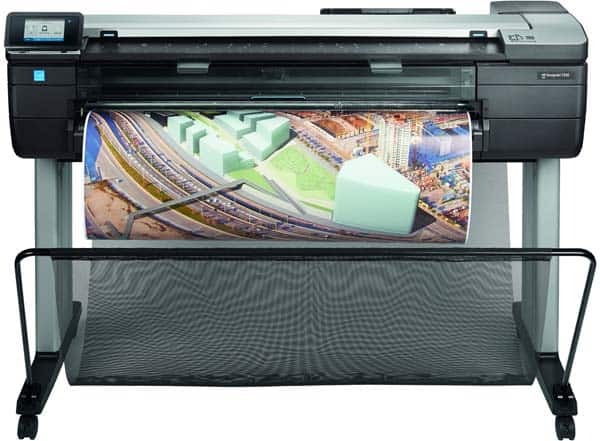 Do you require wide format printing? Do you have any areas or operations that require dedicated, perhaps secure copying, printing and scanning? Are your document publishing requirements high volume or low? Do you prefer to purchase, lease? Do you need just the equipment or a managed print solution best? No matter your needs, we’ll help you decide. Contact us today or call 818-787-2622 and let us start creating the perfect solution for your document management challenges that works for your budget. Or, if you prefer, click on individual solution links to learn more about our equipment offerings. 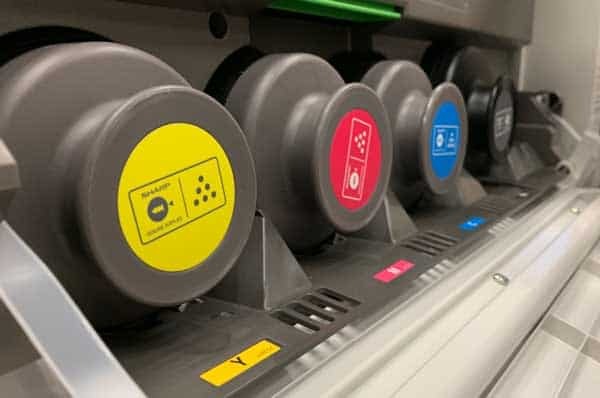 When your operation needs to retain document colors or include them for data presentment, a color MFP is a proper choice. These devices allow users to copy, print and scan in color. Color is a proven, powerful element in communications. It can make a printed presentation more engaging and a printed proposal look more professional. 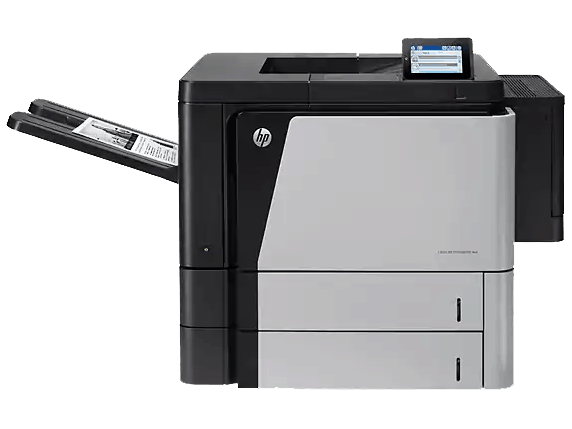 Let our trained staff help you decide when a color MFP is right for your particular needs. Integrated keyboards for ease of job data entry, emails, etc. A perfect solution where your operations benefit from an integrated device. 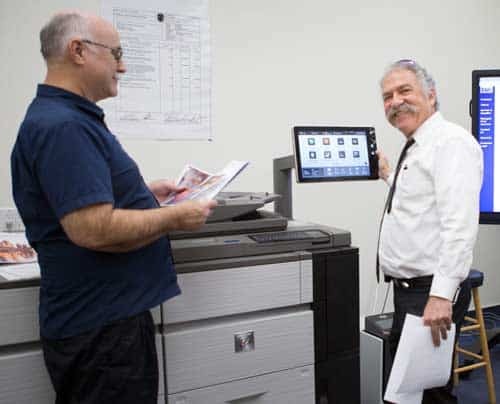 Fast, flexible, with excellent print cost economics, a B&W MFP can also reduce the amount of space previously used by separate, single-function copiers, printers, and scanners. Our MFPs easily integrate with your network and offer significantly higher output rates than earlier models, handling a larger variety of print media. When it comes to sizing and placing any MFP, our staff is skilled at working with you to optimize the placement of B&W MFPs. As a result, overall costs of operation are reduced and wasted employee time walking to a distant printer can be minimized. There are occasions where a standalone printer is ideal. The executive suite, legal, human resources, and product development are a few examples of where sensitive business and personnel information needs to be kept in secured and monitored areas. The needs of the users drive the need for a color printer. Does a signed contract need to be printed with signatures in color? Is a senior officer making a Board presentation regarding confidential corporate performance details and needs color for the most effective communication? In those cases, a dedicate color printer can be the ideal solution. Do you need one for every executive? For everyone in Legal? 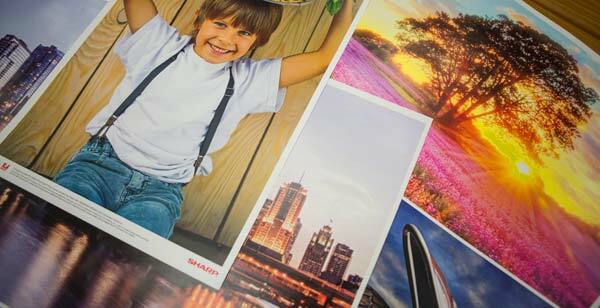 We’ll work with you to decide on the best uses of color printers. The B&W printer is every office’s workhorse. These are perfect add-in devices to complement a centrally located MFP. Having B&W printers distributed throughout the office reduces demand for the printing capabilities of an MFP, allowing it to serve the needs of those with more demanding document processing needs. These devices are affordable to buy and operate and produce excellent quality at the lowest cost per page. Let us work with you to create the optimum configuration of standalone B&W printers and MFP devices. 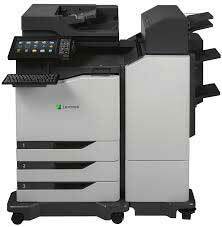 Large format MFPs are also available where the situation calls for an integrated copier, printer, and scanner. Please contact us for more details.